Here's this week's sketch. What can I say, I was a tad inspired by the Line Frame challenge over at Papertrey Ink! Here's my card. Remember, it's sometimes best to plan out your images a little bit. Get some scrap paper, see what looks best before committing to your design. I hope that everyone is enjoying some time with family and friends this long weekend... it looks like spring may actually be coming for Easter this year where I live.... I'm going to break out the flipflops today even though there is still snow in my grass (in the shady areas of the yard). Another great sketch! 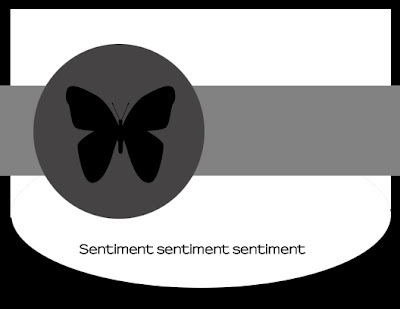 I moved the butterfly down a bit since it fit better with my images. 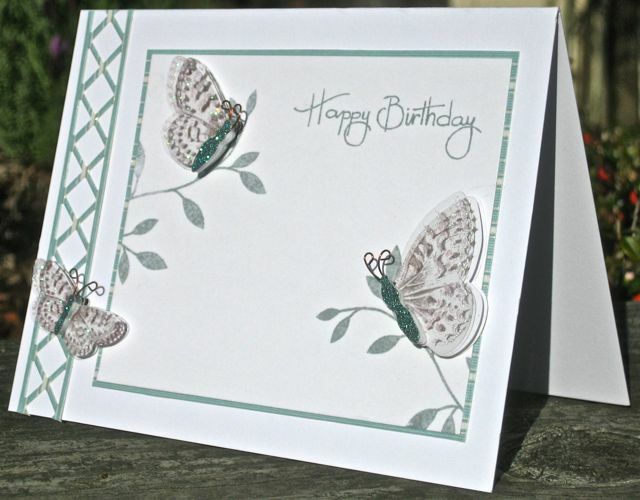 The butterflies are all K&Co 3D stickers. but I decided it was still CAS enough. Here's my take on the FTL136 sketch. I haven't had a lot of time to create in the last little while... and sitting down today to create was something I was really looking forward to.... but making a card was almost painful. I need to just get out of my head and have some fun. The good news is... I like how my card for this weeks' sketch turned out! Good morning everyone! It's time for another sketch challenge! This one was inspired by a few samples I saw in the recent special issue of Papercrafts Magazine, Color Inspiration for Card Makers. If you play along, feel free to leave link to your post! I hope you'll play along with us this week! 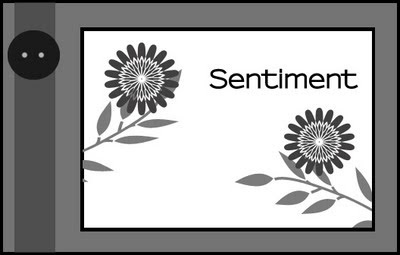 Since I used a dark patterned paper, I moved the sentiment onto the long strip. These colors make me happy! Thanks for stopping by. I hope you're ready for another sketch! Everyone has been doing such an amazing job with the sketches! I love it! Here's my take on it! 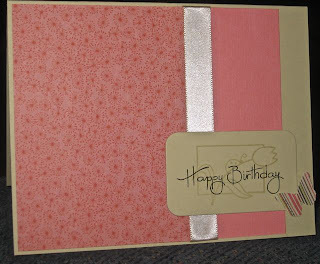 I was looking for an excuse to use my new edger and doily dies and this card just kind of grew out of that! 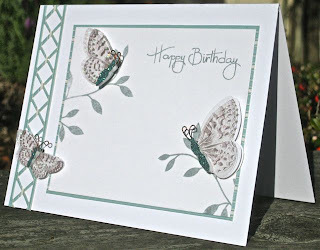 I stamped both the butterfly and the doily with the textstyle background. I sponged the edges of the doily to give it a softer look. The card front is actually shorter than the card back- the dark chocolate strip is on the card interior. Just a quick post from me today... I find it interesting that many of us thought "buttons" when we saw this sketch... of course I did since they are my newest obsession! 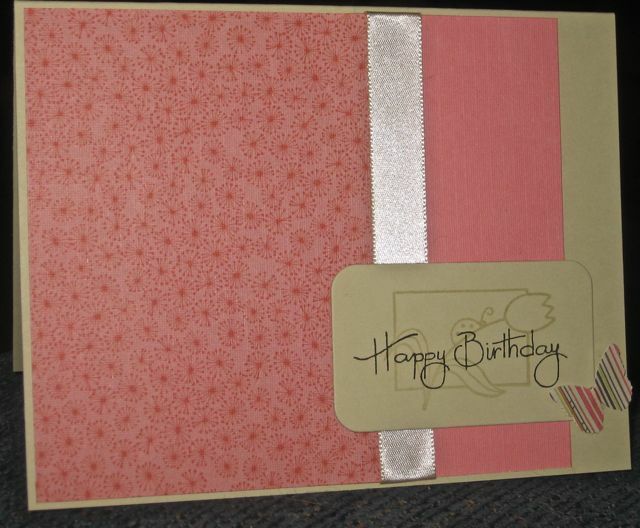 Not quite the card I started making as I couldn't find flowers in my stash that were the right size to go with the buttons and fit on the card front.... but I do like how it turned out. I made this a One Layer Card. 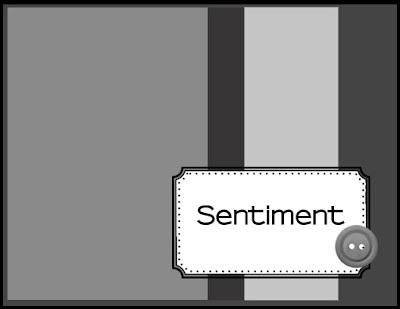 I drew the frame around the buttons and sentiment to create a faux layer. 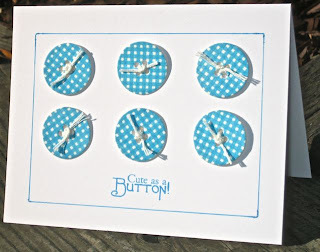 I used PaperTrey's button die and chip board to create the buttons. 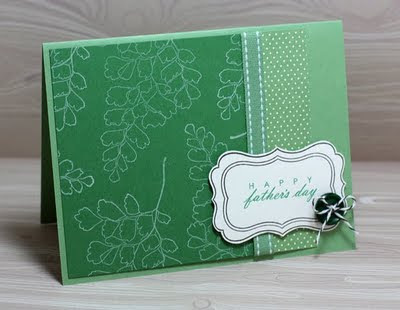 I stamped them with Memento Bermuda Bay ink and PaperTrey's Bitty Background Blocks gingham image. 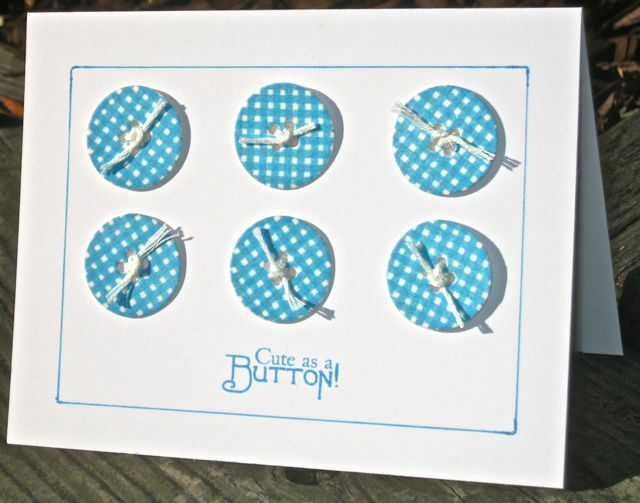 The buttons are threaded with embroidery thread. 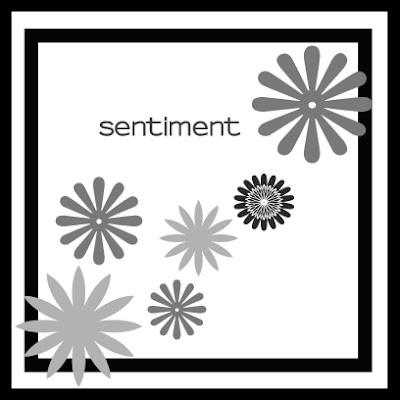 The sentiment is from Mark's Finest Paper's Sew What set.